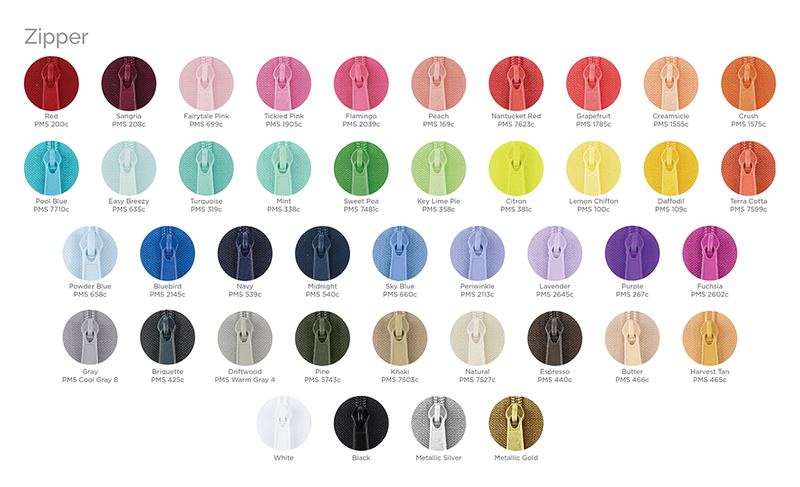 Click here to download our color swatches as a PDF file. 100% cotton duck canvas in #10 weight. Dyed and milled in the USA. Water repellant finish. 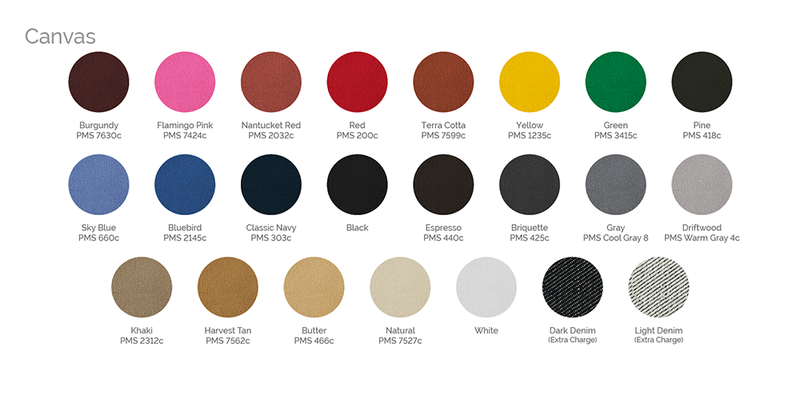 A variety of colors to coordinate with your branding. Our design team will take your logo and turn it into a pattern that will then be printed on the nylon lining inside your items. For more information, see our Branding Page. Smooth gliding nylon zippers with matching painted metal slider.